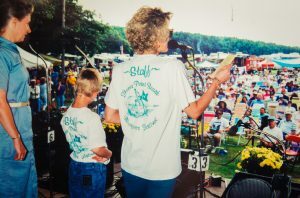 The Thomas Point Beach Bluegrass Festival was established in 1979 by Pati Crooker, of Brunswick, Maine, with the goal of bringing traditional Bluegrass Music to coastal Maine. Since its inception, the Thomas Point Beach Bluegrass Festival has hosted nearly 300 of the best in Bluegrass Music on its historic stage, from old favorites to internationally renowned acts to up-and coming new talent. 2019 marks 40 years of Bluegrass music on the beautiful coast of Maine. 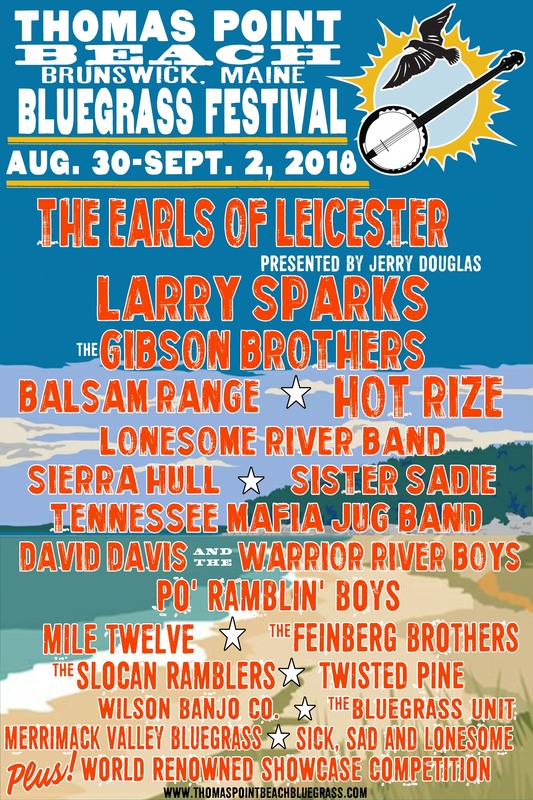 The Thomas Point Beach Bluegrass Festival ran for 30 successful years, earning a reputation for being one of the nation’s best managed and family-friendly festivals, and was highly acclaimed for its attention to detail and consistent show quality. The festival went on indefinite hiatus in 2008, as Pati took time off to focus on her family, but returned in 2011 for 5 years as the “Bluegrass Special.” In 2016, A “Celebration of Life” was held in lieu of the festival to honor the life and legacy of Pati, and in 2017 her son and his wife, Michael and Jennifer Mulligan, took the reigns, and continued the legacy. Thomas Point Bluegrass Festival has become a Labor Day tradition for many attendees, and solidified its reputation as a premier event for Bluegrass aficionados worldwide, something we hope to continue for years to come. Some Fun Facts About the Bluegrass Festival! The festival began in 1979 and made a profit of $3.16. Very successful, since it takes most festival years to even break even! Bill Monroe, the Father of Bluegrass Music played this Festival in 1982, 1983, 1988, 1989 and was scheduled to play in 1995, but was unable to travel. Two June “Showcases” were held in 1986 and 1987. There was no 13th Festival. Pati went straight from the 12th festival to the 14th in order to avoid “unlucky 13”. Pati took a year off after the 25th Anniversary. It didn’t matter… the fans came anyway… they held a “non- festival” and we even had t-shirts made to commemorate it. Over 200 bands have played this festival throughout the years. The First “Showcase Competition” was held in 1992 making this a four day event. Many of the winning bands went on to have very successful music careers. People came to this event from all over the US, Canada and the world. We have had guests from all over; including Japan, England, Sweden, Alaska, Denmark, South America and even a band from the Czech Republic. The Festival was the Featured Cover Story for Bluegrass Unlimited in 1996. The Festival has been recognized on The Today Show, the New York Times, and on countless other state and local TV, radio, and newspapers. Past festivals have included fireworks, a hot air balloon, weddings, special guest appearances from Miss Maines, a visit from the Governor, cloggers, anniversaries, pajama parties, High Teas, Halloween Parties and so much more! Ask our guests to tell you their favorite story! The “Maine Woods Band” was started in 1998 with the creation of “Tommy P. Banjo Bear”. The piece was the creation of Tim Pickett of Elliott Maine. Photographs of the project were featured in the June 1999 Issue of Bluegrass Unlimited Magazine. The band was completed over the next four years with the addition of a new band member each year. Most of the “Special Events” staff that worked this event have been part of the festival family for years and years… Shari Rapoza Elder & Family, Jenna Goddard Summers & Family, Reggie and Mamie Fortin, George Whitney, Randy & Gail Scammon, The Lunn Family, The Gift Shop Gals, Gene Gagne, The Rapoza Clan, Ray York, and the Lemieux Crew. The TPB Festival was the first time many ever heard the music before. Numerous souvenir Martin Guitars and 1 Eastman Mandolin have been given away in raffles through the years. In honor of the 30th anniversary, a Tuesday Night “Fireside Chat” to share memories of years past and a Wednesday Night Giant Potluck and Hoe Down! Topping the week-end off with a spectacular Fireworks display over the bay! 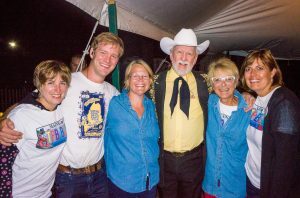 In 2008, the TPB Bluegrass Festival was awarded the “EVENT OF THE YEAR” for the 2007 Festival by the International Bluegrass Music Association in Nashville, Tennessee. 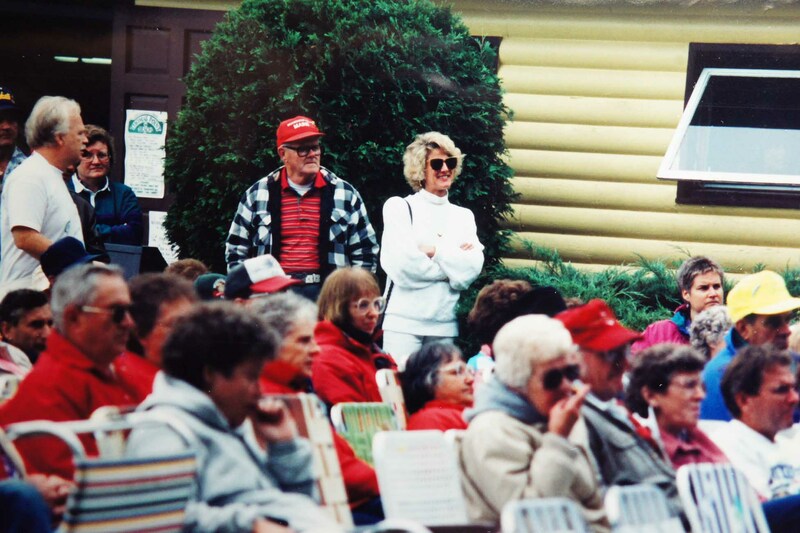 The annual Thomas Point Beach Bluegrass Festival retired in 2008, after 30 years. 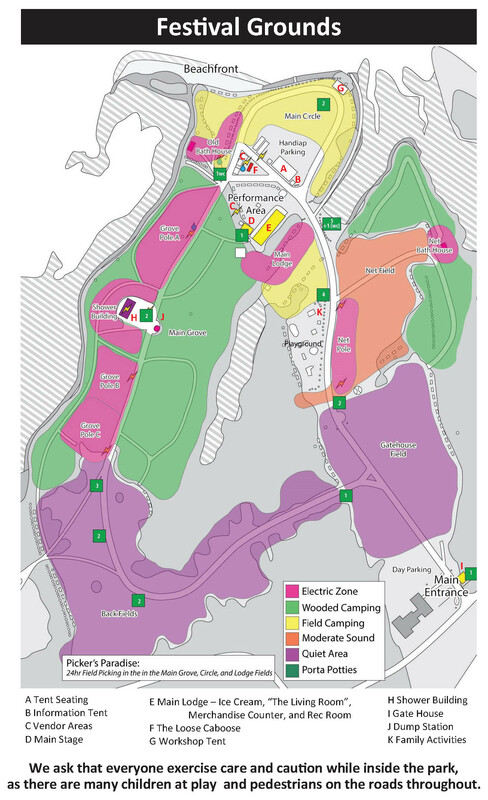 In 2009 and 2010, Bluegrass music was still playing at Thomas Point beach as loyal friends came together to camp and pick even with no official festival or line-up. In 2011, Pati re-established our beloved Bluegrass Festival Tradition as the “Thomas Point Beach Bluegrass Special“. The “Special” ran for 5 years. Pati Crooker passed away in June of 2016. A Celebration of Life was held for Pati on Labor Day Weekend bringing together the bluegrass community. A beautiful beachfront service was held by family and close friends. Several bands honored her memory on stage with music and memories shared. In 2017, Pati’s son Michael Mulligan, along with his wife Jennifer, and support from Shari Elder and Jennifer Summers, resumed the annual Thomas Point Beach Bluegrass Festival. 2019 marks 40 years of the Bluegrass tradition at Thomas Point Beach. We are forever grateful for all those who have stood behind the event for all these years!